The U.S. Constitution requires Congress to convene on Jan. 3 unless a different day is chosen. 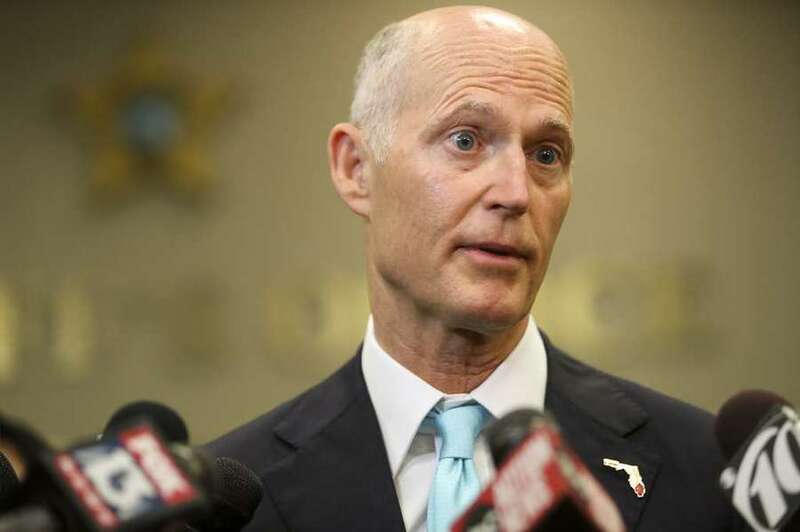 Scott's term as governor does not end until the following week. Gov. Rick Scott hasn't yet announced whether he plans to run for the U.S. Senate this year — but if he does take the plunge, it could put a damper on one of his last big goals as governor. 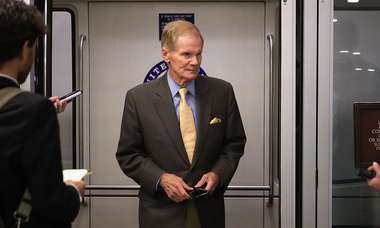 Here's the problem: If Scott, a Republican, is elected to replace Democratic U.S. Sen. Bill Nelson, he could be forced to step down nearly a week before his term is scheduled to end. That's because Congress — at least for now — is scheduled to start its 2019 term on Jan. 3 — before a new governor is sworn into office on Jan. 8. On paper, and looking back at history, that doesn't seem like a big deal. Three decades ago, then-Gov. Bob Graham left office early because he was elected to the U.S. Senate. 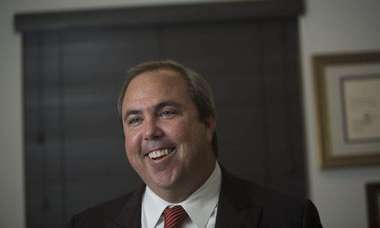 But an early departure by Scott could complicate a brewing legal fight over the makeup of Florida's Supreme Court. Scott plans to appoint three new justices on his final day in office. If he leaves early, he could lose his window to do that — although his immediate replacement, Lt. Gov. Carlos Lopez-Cantera, also a Republican, could appoint similar candidates. Scott avoided another potentially serious complication: a proposed new law that would have forced anyone seeking federal office to resign right before they qualify to be on the ballot. All federal candidates in Florida must qualify by May 4. Current law allows him to serve out his term if he doesn't win the Senate election. After consulting with Scott's office, lawmakers in the Republican-controlled Legislature tweaked the bill to exempt those who were planning on leaving office at the end of their current term. Sen. Travis Hutson, a north Florida Republican who helped usher the bill through the Legislature, said on Monday that he did not realize the change to the bill would benefit Scott; he said the conversation he had with Scott's people about the measure centered on state senators and local constitutional officers. "I was not aware of that at the time," Hutson said. Senate Democratic Leader Oscar Braynon, who voted against the bill, said he thought it was a "political ploy" designed to hurt a Democratic Miami state senator who is running for Congress — but also said he was unaware the change to the measure could help Scott. Asked about the revised legislation, Scott spokesman McKinley Lewis said the governor's office "talks to members and legislative staff on many bills during session." He said the governor was reviewing the bill and has not decided whether to sign it. 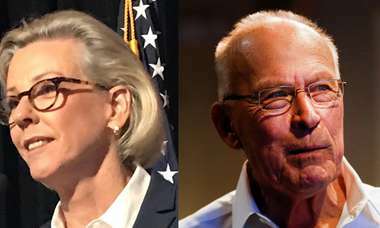 The biggest effect that Scott's potential run for the Senate could have in the state now is on the highest court, given that his appointments could change the balance of the court for decades. If the governor gets his way, the seven-member court will be stacked with six conservative judges as the more liberal justices Barbara Pariente, Fred Lewis and Peggy Quince step down. The court late last year tossed out a petition that attempted to block Scott from appointing three justices on his way out of office. A majority of justices said they couldn't rule on an action that hadn't yet happened. For his part, Scott said this past weekend that he still has not made up his mind about running for Senate. "Typical politicians think about their next job," Scott said. "I'm focused on this job. I'm glad we had a very successful session. I'll think about my future in the next few weeks."